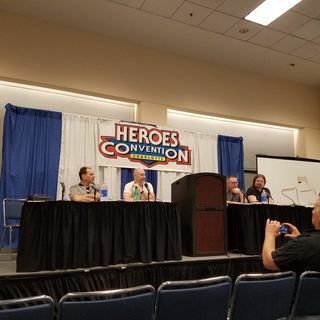 These are the interviews from the Heroes Con 2016 floor. Over 1 full hour of great floor interviews, from the crew at Legends of the Panel Podcast. We interview the likes of: Robbi Rodriguez, Andy Smith, Todd Dezago, Naomi Romero, Ominous Press, AC Medina, and many more for future episodes. Please like, share, rate, and spread the word about the show and interviews. We absolutely had a blast this year at Heroes Con, run by Heroes Aren't Hard to Find.